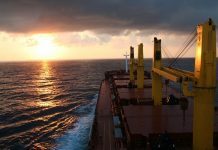 Product tanker SHUN SHENG collided with tug KOI 3, towing sand barge, at around 0500 Singapore time Feb 7 in Singapore Strait in vicinity 01 10N 103 42E, west of Senang island. Tug capsized, of 6 crew on board 4 were rescued, 2 went missing, SAR under way. 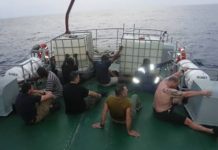 Tanker was transiting Singapore Strait en route from Hong Kong to Lumut, Malaysia, western Malacca Strait. 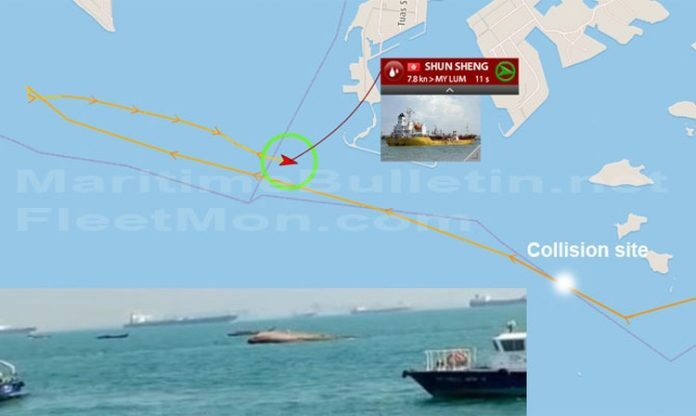 According to track and given collision position, SHUN SHENG didn’t stop after collision and continued sailing. She turned back at around 1300 Singapore Time, most probably ordered to do so by Singapore Traffic Control or other Maritime Authorities. In the meantime, Shipping companies BW LPG and NYK Bulk & Projects Carrier (NBP) have awarded contracts to Goltens’ Worldwide Green Technologies Division Asia for retrofitting a total of 37 vessels with ballast water treatment systems (BWTS).